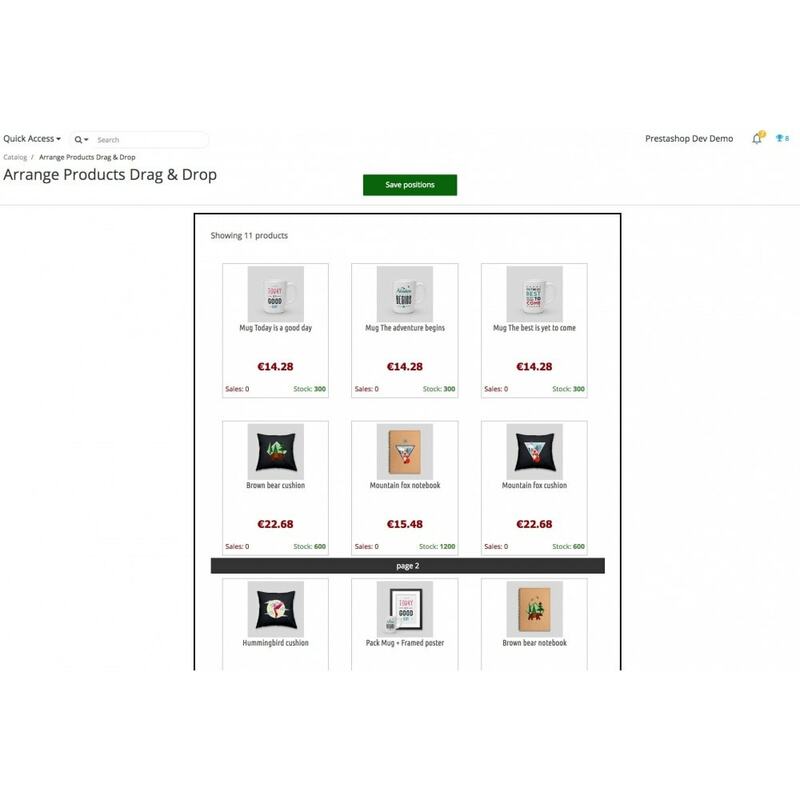 A WYSIWYG way to arrange products inside categories. You can move your products drag&drop. The module provides also stock and sales info for each product so that you can better decide which products go at the top. It's like live editing the positions of your products inside categories! Merchandising & Product Management Drag & Drop is a Prestashop module design to manage hundreds and thousands of products. This Prestashop Module offers an easier way to change your products positions inside the categories. In the module configuration area you can select the category and see your products as shown in frontoffice. Then you can move them around with a drag & drop method. As easy as that! 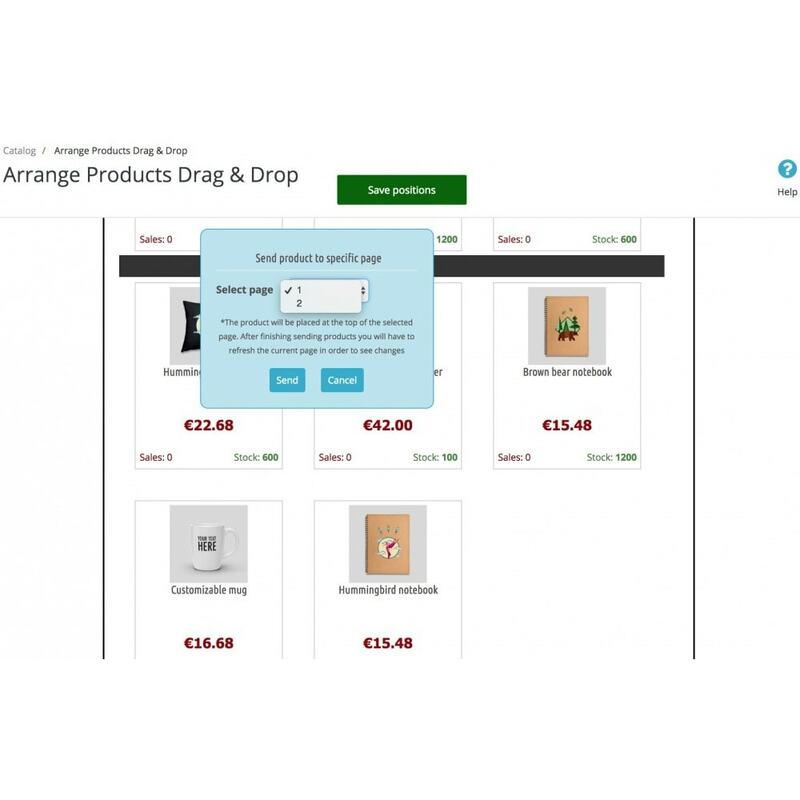 You can also double click on a product and send it directly to the desired display page, for example you can move a product from page 12 to page 1. 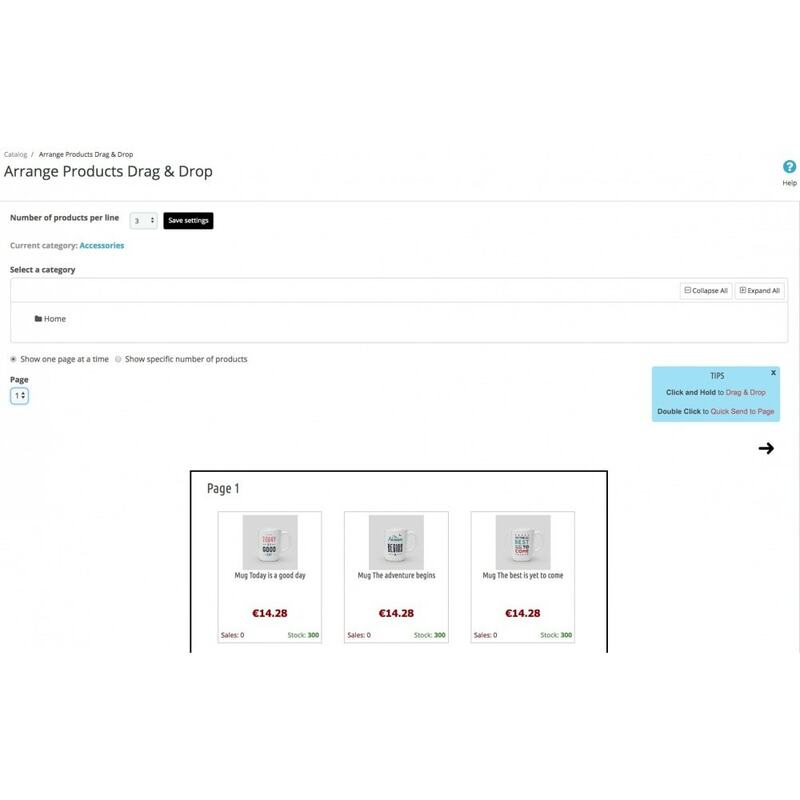 Merchandising & Product Management Drag & Drop module is specially made for shops that have many products and there is need to constantly bring different products on the firs pages of display. One of the best modules I've used! I always had a problem arranging the products based on their stock and visual characteristics due to the large number of products available. 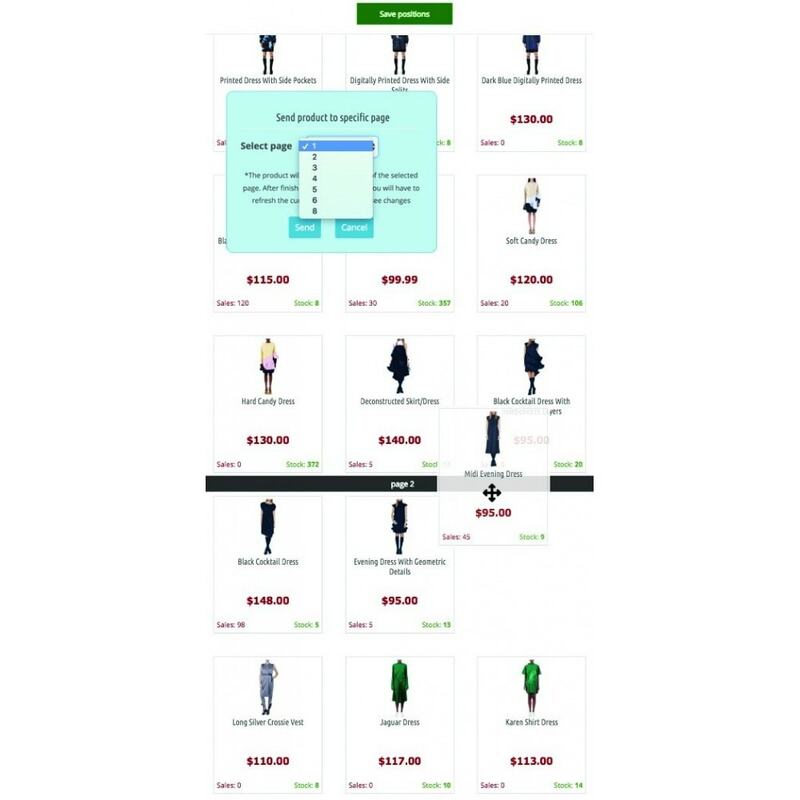 Keep displaying inactive (disabled) products pages for SEO and marketing purposes.Instead of displaying a 404 page with a dead-end message, the entire product page will be displayed, excepting the “add to cart” button. Increase conversion rate on mobile by displaying at the bottom of the screen the four most important buttons for your shop: add to cart/go to checkout, search, call and my account. 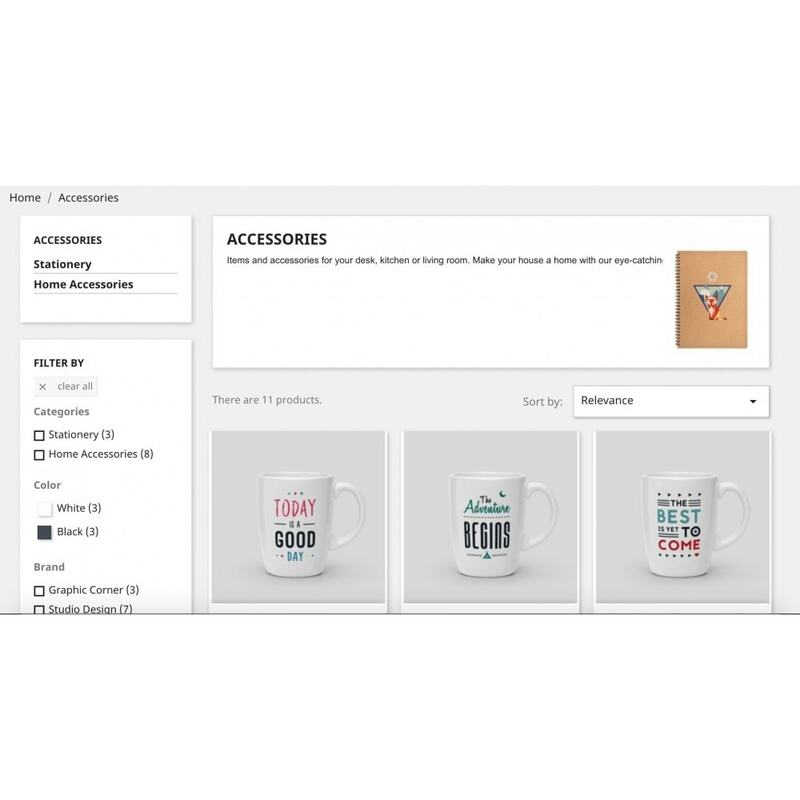 Quickly bulk upload/import and associate images to products, by drag and drop.This Prestashop module allows you to upload product images in bulk and save hours of work. It also hooks as a submenu under Catalog, for easier access.